PYONGYANG - The Democratic People's Republic of Korea (DPRK) on Saturday started high-level urgent contact with the Republic of Korea in the truce village of Panmunjom to discuss the prevailing tense situation on the peninsula, the official KCNA news agency reported. Attendants at the meeting include Hwang Pyong-so, director of the General Political Bureau of the Korean People's Army, Kim Yang-gon, secretary of the Central Committee of the Workers' Party of Korea on the DPRK side and Kim Kwan-jin, chief of the National Security Office and Hong Yong-pyo, unification minister on the ROK side. The report referred to South Korea as its official name Republic of Korea, which is rarely seen in local media reports of the DPRK. 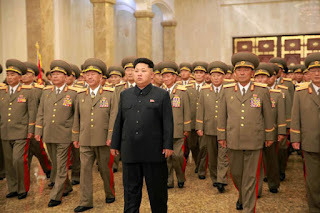 Pyongyang usually called South Korean authorities "puppet forces". The closed-door contact is now being held at the Peace House on the south side of Panmunjom. Reporters are kept out at the Unification Bridge waiting for the outcome of the contact. Meanwhile, South Korean military are fully prepared for any possible strikes from the north. The ROK and the United States has raised Watchcon, or watch condition used to measure reconnaissance to handle threats from the north, to a higher level to more closely monitor the moves of DPRK forces. The meeting is the highest-level inter-Korean contact since President Park took office in February 2013. It comes amid escalated tensions caused by cross-border exchange of fire on Thursday over the ROK's propaganda broadcasts. The DPRK warned that unless the ROK stops propaganda broadcasts in frontline areas before 5 pm Saturday (0800 GMT), it will take military actions. The ROK threatened stern retaliation against any further provocations. 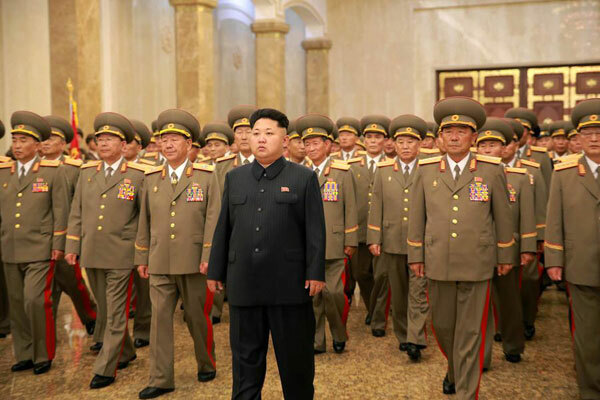 The KCNA reported Friday evening that the DPRK frontline army has "wound up preparations for military action" and entered a wartime state, "waiting for an order of attack to destroy the war maniacs." The move came after top DPRK leader Kim Jong Un ordered the country's frontline combined forces to enter a state of war from 5 p.m. Friday (0800 GMT). The ROK said its military on Thursday fired dozens of shells toward the DPRK, which Seoul said had earlier launched artillery shells twice into the south side in the western border. But the DPRK has strongly denied the accusation. The shelling intensified the already heightened tensions on the Korean Peninsula. On Aug. 4, two South Korean soldiers were maimed after the explosion of three wooden-box landmines, which the ROK claimed had been planted by DPRK forces. Pyongyang denied any role in the incident. From Aug 10, the South Korean military resumed propaganda broadcasts with loudspeakers for the first time over the past 11 years in frontline units, causing threats from the DPRK that it would strike the loudspeakers harshly.